Cosmetic dentistry is the specialty field of dentistry dedicated to enhancing the appearance of the teeth, gums, and smile while maintaining a patient’s oral health. A cosmetic dentist receives additional training in aesthetic procedures to develop greater skill and understanding of the latest techniques and technology. All dentists receive a small amount of training in basic cosmetic concepts; however, you can benefit from choosing a dentist who has opted to complete continuing education in cosmetic treatments and achieves membership status with the American Academy of Cosmetic Dentistry, the largest and most prestigious community of cosmetic dental professionals. 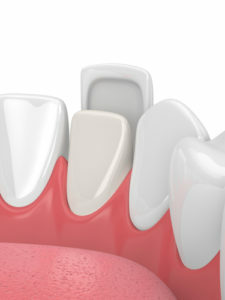 Current trends in dentistry reflect our patients’ desire for conservative long-lasting treatments that also look great. At Scripps Center for Dental Care, our cosmetic dentists, who have reached the highest levels of Accreditation within the prestigious American Academy of Cosmetic Dentistry, recognize that all forms of dental care are directly related to appearance, and we strive to help our patients achieve the very best in function and aesthetics when it comes to their smiles. Research shows that people with healthy smiles are more likely to be hired for jobs, be respected for their opinions, and have higher levels of self-confidence. As materials, techniques, and technology improve, we are increasingly able to provide subtle yet effective treatments that look beautiful and blend perfectly with natural teeth. Plus, with a number of anesthesia and sedation options available, it is more comfortable than ever to undergo aesthetic procedures. See your dream smile before you wear it with the help of Digital Smile Design from our innovative practice. We can customize a treatment plan to enhance the beauty of your teeth, gums, and smile using the latest technology, make adjustments to best suit your needs and preferences, and let you preview the result—all before starting any procedures. Have more than one aesthetic concern affecting your smile? Porcelain veneers can address a multitude of common issues and create natural-looking improvement that lasts for a decade or more. Noticed a chip or crack in one or more of your teeth, dental bonding and single unit veneers from our experienced dentists can repair your smile with beautiful, lasting, and strong results. 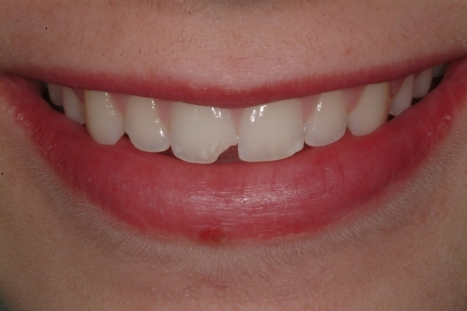 We offer a broad array of prosthodontic options to replace missing teeth and repair damage. These are designed to suit the wide range of needs of our patients. We offer dentures, partial dentures, dental implants, and many more techniques to restore your smile. Clear away stains and discolorations with state-of-the-art teeth whitening options. Our advanced techniques, including BriteSmile®, ZOOM!®, and KöR®, can address even the most set-in stains—even tetracycline effects. We offer metal and mercury-free dentistry. If you have amalgam fillings or other metal restorations, we can replace them with a tooth-colored composite counterpart that looks more natural and doesn’t put your health at risk. Many patients have “small” teeth, an uneven gumline, or what’s called a “gummy smile.” These common concerns can be improved more comfortably than ever before with laser gum recontouring therapy. Digital Smile Design: $500 to $750, includes all records measurement, photos, digital scans, and the 3D smile try on “test drive” smile. Porcelain Veneers: $1,500 to $2,000 per tooth, includes custom temporaries, all lab fees, and guaranteed results. Teeth Whitening: $350 to $450 in-office procedure, includes touch-up trays and a three-month supply of whitening gel. 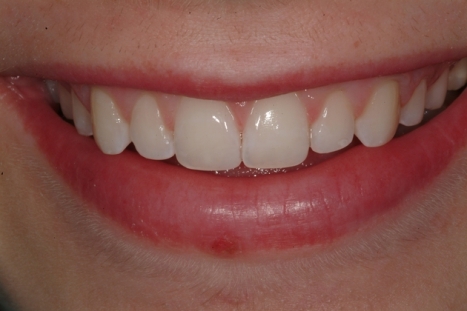 Dental Bonding: $750 to $950 for anterior composite full veneers. Aesthetic Restorations: $350 to $500 per tooth for back chewing teeth and anterior teeth. 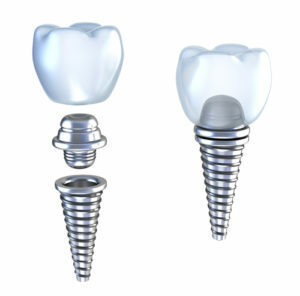 Dental Implants: $5,000 to $6,500 per tooth, includes titanium fixture, healing abutment, custom abutment, and final porcelain crown. Gummy Smile Treatment: $2,300 to $3,500 for the surgical phase only; does not include veneers or bonding. Invisalign®: $6,500 to $7,500 for a full treatment case (upper and lower), depending on the number of trays. Includes retainers. Choosing a cosmetic dentist is the first, and potentially most important, step of your journey toward a more beautiful smile. You want to select a dental professional who is experienced and skillful in the treatment for which you’re interested, offers patient-focused and compassionate care, and emphasizes conservative, biomimetic techniques that preserve and protect your dental health (after all, what’s the use of a lovely smile if it’s damaged or painful?). Our comprehensive team of professionals is extensively trained in all subspecialties of dentistry, and our cosmetic dentists are accredited members and fellows of the American Academy of Cosmetic Dentistry. We are committed to your care from start to finish, and you can receive all treatments, cosmetic or otherwise, in-house—no need to travel elsewhere to see a specialist. Schedule a consultation today to see the difference elite care can make. Have additional questions about your treatment? We’re here to help. We have provided answers to some of the most commonly asked questions. For more information, please reach out to our practice. Whether you wish simply to refine the appearance of your teeth or dramatically reinvent your smile, our dental specialists can help. To schedule an appointment at our cosmetic dentistry practice in La Jolla, please contact Scripps Center for Dental Care today. We proudly serve the entire San Diego region and are always pleased to welcome new patients to our practice.